Big beers deserve bigger bottles. 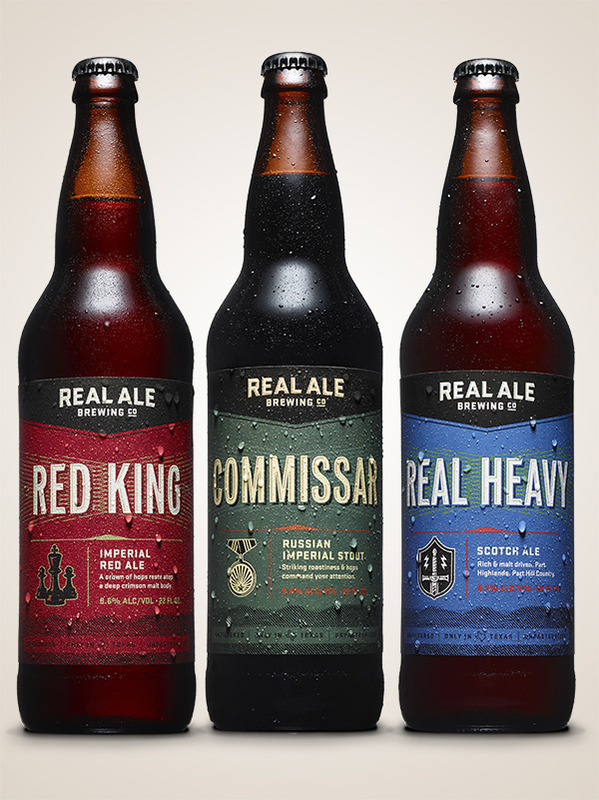 After a 17-year hiatus from the packaging line, Real Ale Brewing Company has brought back its 22-oz. bomber bottle for three heavyweight additions. Formerly limited edition beers, Red King, Commissar and Real Heavy are now included in the year-round line-up in this large bottle format. “We’ve wanted to get these beers into the market for a while, but 12-oz. bottles never felt like the right fit. We don’t do anything we can’t do 110%, so once we finally had the right equipment we were able to do these beers justice,” said owner and operator Brad Farbstein. The bombers are a throwback to Real Ale’s original beer bottles. 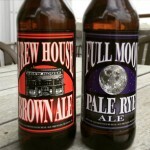 Founded 19 years ago in the basement of Cranberry’s Antiques on Blanco’s town square, Real Ale first introduced its original beers, Full Moon Pale Rye and Brewhouse Brown, in the 22-oz. bomber size. As demand for the drinkable originals increased, the brewery transitioned all its offerings into six-packs of 12-oz. bottles. Now with the new bottling line installed last summer and an impressive brand update to match the formidable bomber size, the brewery decided to bring back the 22-oz. format for three big beers this spring. Red King.finds its origins in Real Ale’s Brewers’ Cut series, which enables the team to flex their creativity by brewing new and different beers. 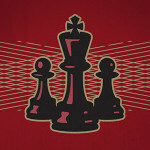 The fourth project from the series, Red King was originally known as Imperial Red. A deep crimson ale, it is the first beer from the Brewers’ Cut series to join Real Ale’s year round line-up. 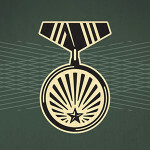 A fan favorite, Commissar was first brewed for Real Ale’s 15th This Russian Imperial Stout has a colossal addition of American hops to balance its robust malt character and is best enjoyed with oysters on the half shell and chocolate desserts. Available on draught for the past few years, Real Heavy was named for its roots in the traditional Wee Heavy style and the team of metal heads who brew it. Brewed with English Crystal malt, English hops, and fermented with Real Ale’s house English ale yeast, this Scotch Ale is a rich brown color with a toffee accented malt character. 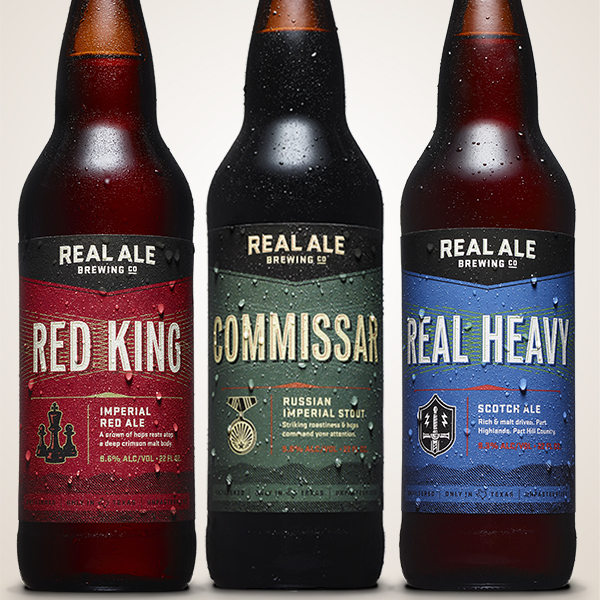 Red King, Commissar and Real Heavy bombers are available now and can be found year round throughout Texas. Real Ale’s 19th Anniversary Baltic Porter is also available in bomber size for a limited time only. 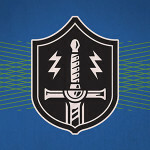 Go ahead and geek out with full-fledged descriptions, food pairings, and stats for each beer here.